PRISM is an innovative mentoring program designed specifically for the LGBTTQ2IA* community in Winnipeg. 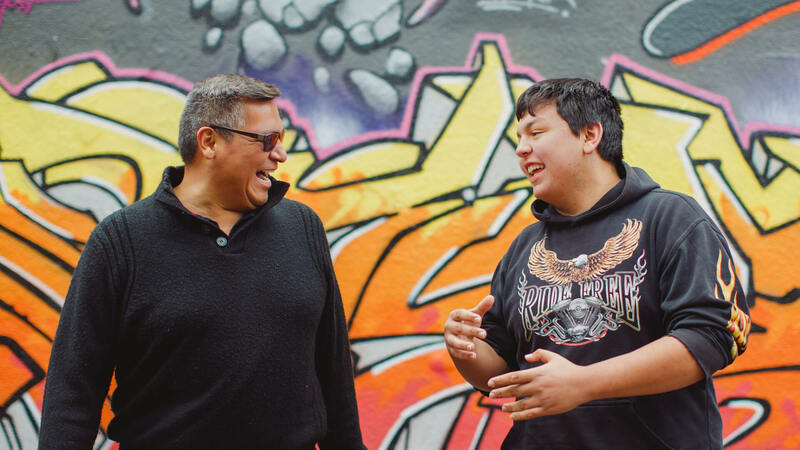 The first of its kind in Manitoba, the PRISM program matches children and youth who identify as LGBTTQ2IA* with an adult mentor who also identifies as LGBTTQ2IA* for a one on one mentoring relationship. Through regular outings, the match will foster a friendship that is supportive, empowering and fun! The PRISM program requires volunteers to commit to one outing per week, for a couple of hours. Mentors and mentees are asked to commit for a minimum of one year. • and above all, have fun! The LGBTTQ2IA* community has a rich legacy of forging informal mentoring networks as a mode of survival. Today, the community has made great strides, yet LGBTTQ2IA* youth continue to face barriers. 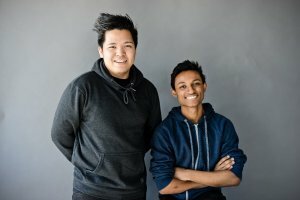 Research shows that formal mentoring programs are a powerful, protective factor for this demographic as they develop their own unique sense of self. Volunteer mentors are extensively screened and properly trained before they are matched. Each match receives the ongoing support of a professional caseworker through Big Brothers Big Sisters of Winnipeg. Ototema is a program about friendship and restorative justice. Mentors are matched in a one-to-one relationship with a youth who is in conflict with the law, or at risk of becoming formally involved. The youths in this program are between the ages of 7 – 18 and include younger youths referred from the MB Turnabout program, older youths on probation, and at times youths incarcerated at the Manitoba Youth Center for non-violent offenses. Youth participate in this program voluntarily. Mentors in this program are interested in alternative models of justice, or those who simply believe that kids who are acting out are kids who most need a powerful relationship interventions. This program encourages youth to care about their community, and make better choices by showing them their community cares for them. The M.A.P. program cultivate meaningful relationships between pregnant or parenting teen girls and trained adult volunteer mentors. These one-to-one community-based relationships are set up to provide structure and support, while making time for necessary play. The mentor is a role model, adviser, and friend. They are there to help support resilience and self-esteem, reinforce strengths, increase parenting capacity, and offer critical support at what can be an emotional and challenging time. At times, the mentee may want some relaxed or fun time away from baby; at times they may want a mentoring visit at home while parenting, and at other times they may want just a listening ear from someone who understands what this adjustment is like. This is a dynamic program, focusing on the variety of needs adolescent parents face at this time of life. provide a role model and a friend for girls and young women. researched outcomes show a connection with decreased evidence of child-abuse, declines in subsequent pregnancies, and overall increases in the health of teen mother and child. While addressing the youth’s needs, the mentor works closely with an assigned Caseworker to help the young parent explore solutions by providing links to services such as childcare, education, health care, housing and job training. Mentors must be at least 21 and have some experience with pregnancy and/or child-care. Youth are enrolled through a referral from school staff. 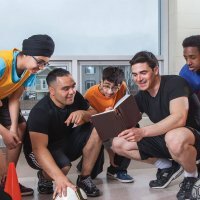 Though we offer many group program options, The Big Buddy program is the only one that takes places all over Winnipeg, including on-site. It is a mentoring preparation program for youth on our waiting list. This program offers Agency planned and supervised group activities twice per month. Fully enrolled volunteers bring youth to events such as horseback riding, rock climbing, paint nights, visits to museums, crochet lessons, pottery, mask-making, skating and so much more! This program enables us to really get to know the youth on our waiting list, their favourite activities and what kind of mentor they would likely connect with best. For volunteers, this is a low-commitment program with huge impact that allows you the flexibility to provide meaningful service without the standard time commitment. If you have an interest in mentoring but want to see what it’s all about first, this is a great option. L.E.A.P runs a two hour after-school tutor and mentorship program every week from fall to spring. (Days of the week vary depending on age/grade level and size of group.) Each student is provided an hour of personalized tutoring, followed with relationship building, fun activities and games. Students either work on their own homework they bring with them, or work on any of the resources we have to offer. After an hour of homework, volunteers and students have a healthy snack and participate in organized games and activities that emphasis life-skills, teamwork, and fun! Homework can be fun! Students and tutors work together to make progress on school work and increasing academic performance. This is a perfect program for University Students who are interested in the field of Education, or anyone who has an aptitude for a particular subject area. All mentoring takes place at the Big Brothers Big Sisters Building at 532 Ellice, conveniently located steps from the University of Winnipeg’s Duckworth Centre. Girlz Groove is an 8-week long group mentoring program run by volunteer women, for girls in grades 5 and 6. Mentoring takes place at the Big Brothers Big Sisters of Winnipeg building. The sessions focus on building confidence and self-esteem, and is a safe and warm setting for the group to discuss topics related to growing up as a girl. Sessions occur in the fall and spring. If you are interested in enrolling a youth into the next session, please contact us for more information. We have partnered with a Girlvana Yoga instructor to run this fabulous new program. In combination with yoga, the group does interactive games, journaling, check-in questions and guided meditation with the hopes of supporting our young girls to navigate adolescence with hopes of improving body image, confidence, self-care, inner dialogue and healthy relationships. Please know that there is no pressure to have any experience with Yoga. 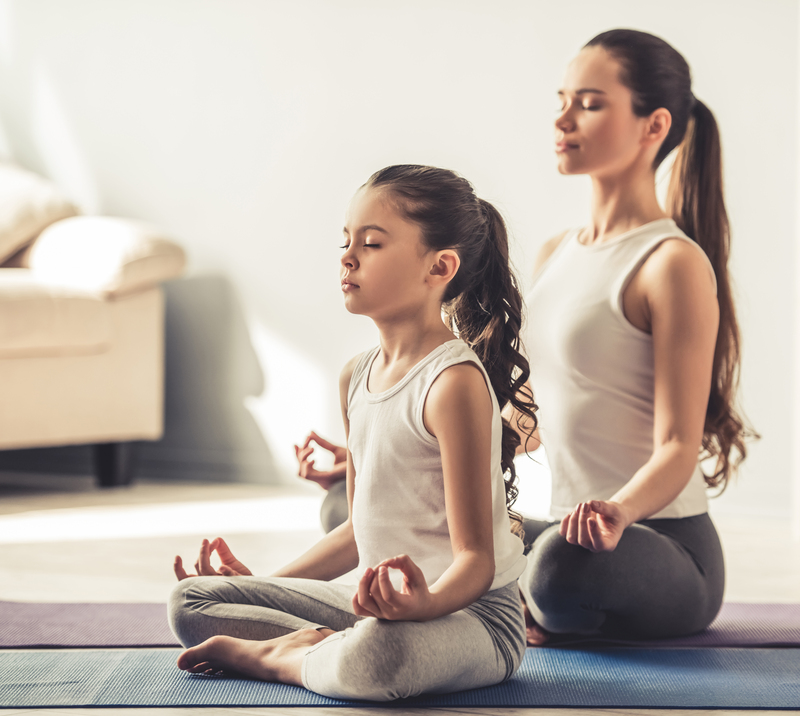 The program is specifically set up to adapt to a large range of abilities so no matter your knowledge about yoga the program is set up to help individuals learn. The program is open to girls between the ages of 13-15. The program runs Thursday evenings from 7-8pm at 532 Ellice Ave. weekly. 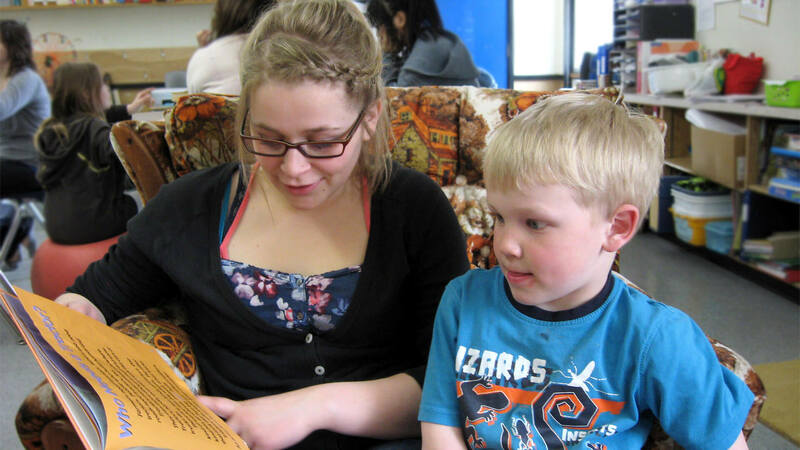 The Storybook Program is a short-term mentoring preparation program for volunteers and youth. It is designed to give young people a meaningful short-term mentoring experience that engages them to be creative, self-reflective and the author of their own story. Youth may take part in this program once, consecutively, or while they wait for a long term match in one of the other programs. Over the course of 8 sessions, once a week for 2 hours, mentors will help their mentees to author and illustrate a strength-based story about themselves through a fictional character they relate to. Mentors and mentees will learn about the elements of story (character, plot, timeline) and will also have the opportunity to illustrate parts of their story with art. Big Brothers Big Sisters will then publish a copy of the book for the youth to keep. This program is a good way for both youth and mentors to try the mentoring experience.